DMRpresents: Catrina Reese – Dreams Made Real Inc.
Catrina, the first of four siblings, was born to sing! Her musical talent was manifested in early childhood as she eagerly performed at family events. As a young adult, she sang background with many groups, but in 1989 with ‘New Generation’ under the direction of Gary and Belinda Jackson Ingram, that became her introduction to professional background singing and studio recording. The group was honored as an opening act for one of Gospel’s legends, Shirley Caesar, in Charlotte, N.C. 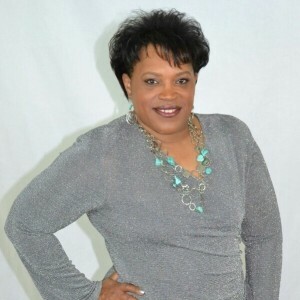 Through the years, Catrina has had various opportunities to display her musical gift; being a member of the backup choir for Dorothy Norwood who performed in Charlotte in 1988; a local featured solo artist in the gospel explosion with Beverly Crawford in 2000 at Pease Auditorium; singing the National Anthem at various events such as the former Charlotte Hornets basketball game in 2003, at CIAA tournament in 2004, at Charlotte Knights semi pro baseball games and at the Charlotte Checkers hockey games. She was a member of the Charlotte Choral Society and the Charlotte Singing Christmas Tree. 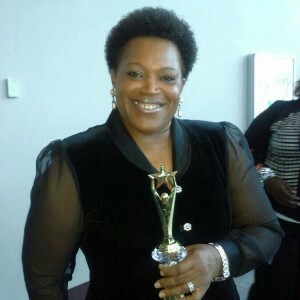 Out of 600 singers area wide, Catrina won and became the grand prize winner of the ‘2004 GIMME THE MIKE-CHARLOTTE’ talent competition sponsored by WSOC Channel 9. From that experience, she was chosen as an opening act for Yolanda Adams and Dettrick Haddon at Charlotte’s Ovens Auditorium in September of 2005. She sang for the “DAYBREAK FOR FREEDOM-TRIBUTE TO MLK DAY” with the Charlotte Symphony in 2006 at the Blumenthal Performing Arts Theatre under the direction of Harry Davidson, Music Director and Conductor of the Duke Symphony Orchestra and Professor of Music at Duke University. In 2008, Catrina, along with the praise team from Kingdom Dominion Ministries Inc., was a featured opening group with Vickie Winans in Columbia SC. She shared the stage and performed a duet with Grammy Award winning legend, Kathy Mattea in 2009 in Asheville, NC at the renowned Biltmore Estate with David Tang and Vox which was a Christmas special aired on WDAV radio station live. And in 2011, she had the awesome pleasure of ministering in song to the African President of Burundi, President Pierre Nkurunziza and the First Lady for the Samaritan’s Feet fundraising event at Ballentyne Country Club in Charlotte, NC. Catrina has traveled ministering in song with Samaritan’s Feet, an international mission’s organization to Cape Town South Africa and Guyana South America. She traveled to Burundi Africa in June 2012 with Samaritan’s Feet. 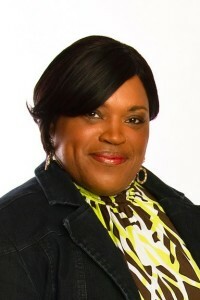 Catrina has written and produced 3 gospel albums. She has also written and published a book listed on Amazon and Lulu.com titled “From The Heart” daily devotional. 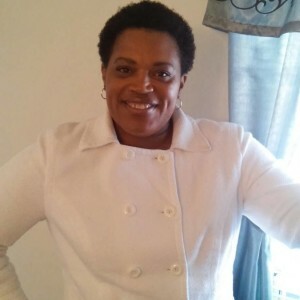 She has also tried her hand at acting; in which she participated in the reenactment at Historic Brattonville as a slave girl, with speaking and singing parts for 2 years for Black History month and Christmas Time at Historic Brattonville in McConnell, SC. In 2012, Catrina was part of the King’s Choir cast in the musical production of “Daughter of the King-The Musical” which debuted at Pease Auditorium on campus of Central Piedmont Community College. She is a licensed and ordained preacher, motivational speaker, author, conference and workshop facilitator , song writer, publisher and psalmist and has traveled nationally and internationally. Catrina is married to Carilius Reese. She has 4 children, Theodore, Keisha, Sarah and Tiffany; daughter-in-law, Katrina; son-in-law, Reginald and 5 grandchildren, Anaiya, Theodore Jr, Reginald III, Isaiah and Dorian. Find Catrina on (just click): Her Website, Facebook, Twitter, and Reverbnation.